Opinionated Girl : KVD is now in UAE! Few artists out there are as inspiring as Kat Von D. Born in Mexico in 1982, Kat Von D crawled her way to the top of the tattoo world through her hit syndicated TV shows, “Miami Ink” and “L.A. Ink”, centering on her and her talented partners in the tattoo industry. In addition to her TV fame, Katherine has also launched a highly successful make-up brand and writing a best-selling book. Katherine’s accomplishments have launched her to the top of the beauty world and has gotten her acquainted with a bevy of celebrities and media icons, cementing her place in the history books of beauty manufacturers. Kat Von D is launching her make-up line exclusively at Sephora Middle East, and it features a collection of highly unique and excellent products. Using her inspiration of the contrast between light and shadow, Katherine’s contour collection offers a number of choices for you to conceal and control your skin in any way you please, turning the body into a canvas and using her make-up as the paint. The collection features such best-selling products as the Everlasting Liquid Lip-stick, which uses vitamins A, C, and E to add hydration and give lips a high-lasting, highly saturated color. The set also feature the Shade + Light Eye Contouring Palette, which uses inspiration from Kat’s sketch work and three color quads containing large base shades, to create the first eye shadow palette for eye contouring. Meanwhile, the Tattoo Liner achieves eye perfection using high-pigment, waterproof liner and a superfine, flexible brush tip to create a unique look for your eyes. Finally, her foundation accomplishes flawless coverage that is used to even the complexion and hide any imperfection in the skin. 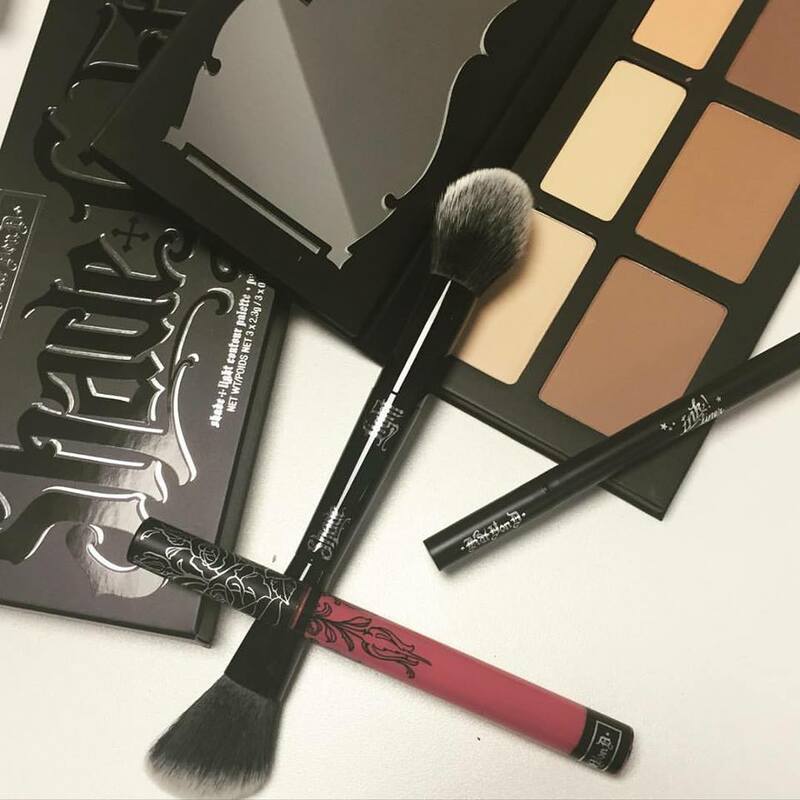 With products like these, one can easily see how Kat Von D has become the superstar of the beauty world.